This “kit” is a piece of plastic card with a bunch of parts that you can pop out to assemble a figure of Jabba the Hutt. I think it dates from 2002, and it was included with baked goods made by Bimbo Bakeries in Mexico. 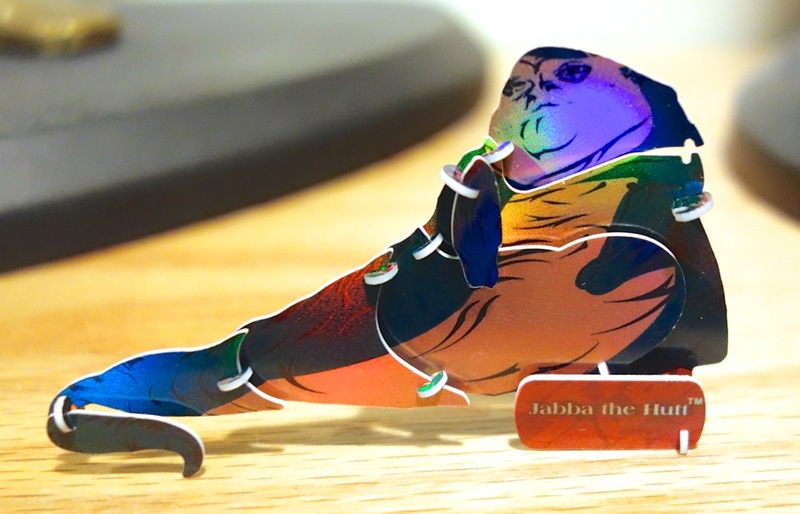 A few months ago, I posted about a similar Jabba the Hutt rubber band shooter kit. In that entry I complained about how laughably bad the instructions were, and I’m still not entirely sure how that one was supposed to be assembled. The instructions are, if anything, worse with this one, but at least you know that the finished product is supposed to look like Jabba. 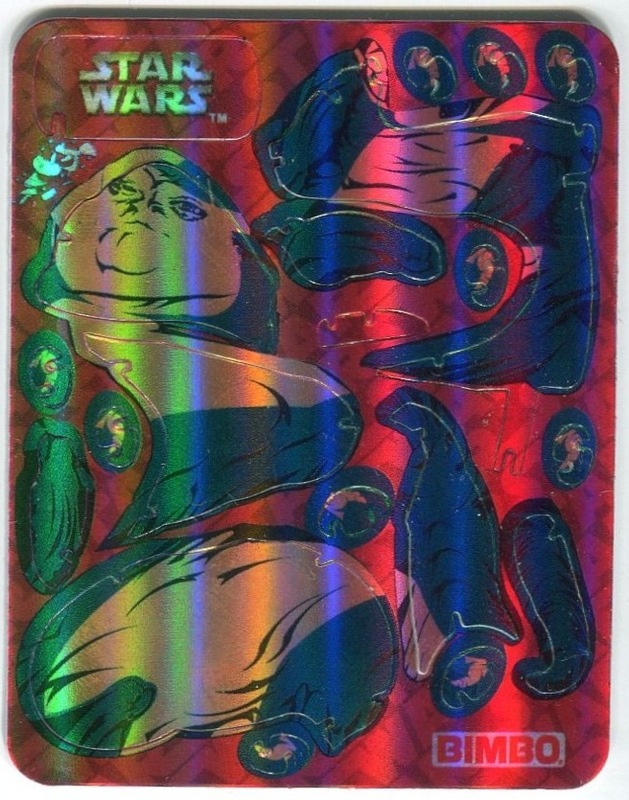 The “instructions” are there to the left of Jabba’s head. Can’t see them? How about now? Yep, that’s all you have to go on. 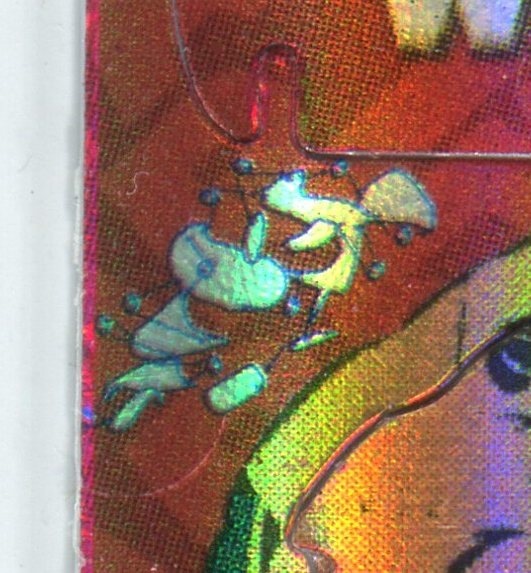 Considering that the entire card is about 2 inches long, it’s very hard to see the instructions even in person. 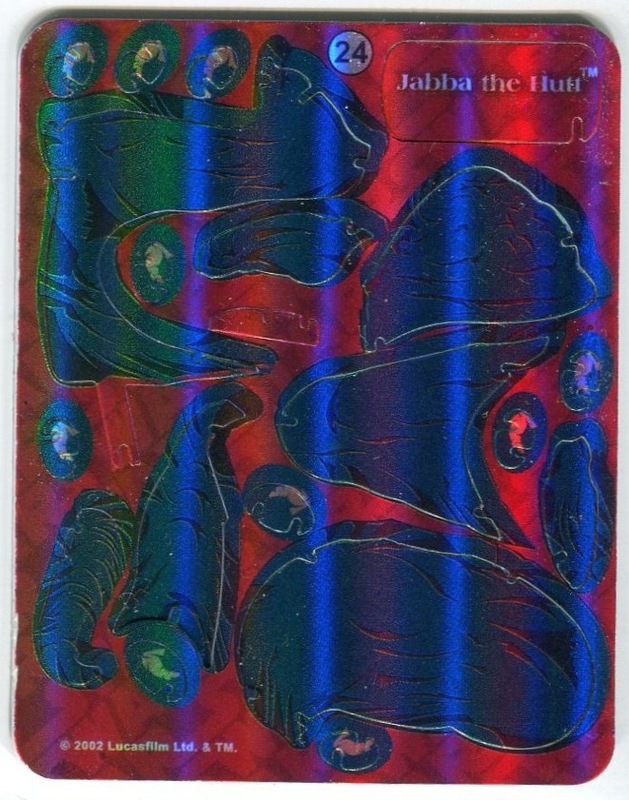 I actually had to scan the card and then blow it up on my monitor, and even then it’s tricky. You punch out the various parts, including a bunch of microscopic connectors that hold the larger pieces together. I ended up losing one of those connectors (it flew off somewhere never to be found). Then I lost one of his arms, which is bigger but still only two or three millimeters long. I really should have assembled this at a clean table instead of at my messy desk… So here is the completed figure, minus one connector and one arm. They actually have an image of his arm printed on the pieces of his body, so it’s not too obvious that it’s missing. I got this in a lot of several with other characters like the droids and such, but it was so frustrating to put this one together that I don’t think I’ll be trying those anytime soon.